The financial year runs from April 1st until 31st March of the next year. The expenditure for the Parish Council includes the salary of the Parish Clerk, grants and donations to local groups, local events and general maintenance of the open spaces and play area. The receipts and payments for the current year2016/20176 can be found here. These are updated each month after being approved for payment by the Parish Council at their monthly meeting. The Council's Finance Regulations can be accessed here. Additional financial information can be accessed by the links as below. Information is added as available. 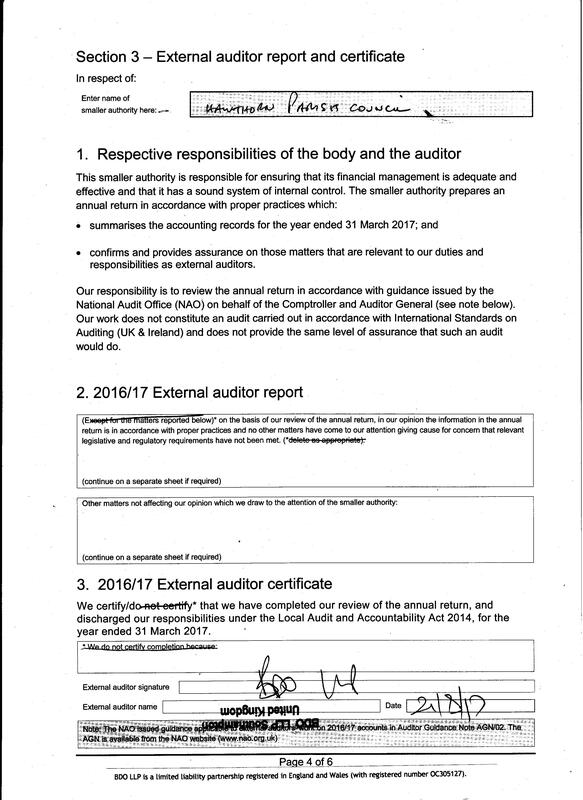 The Annual Return information is unaudited. 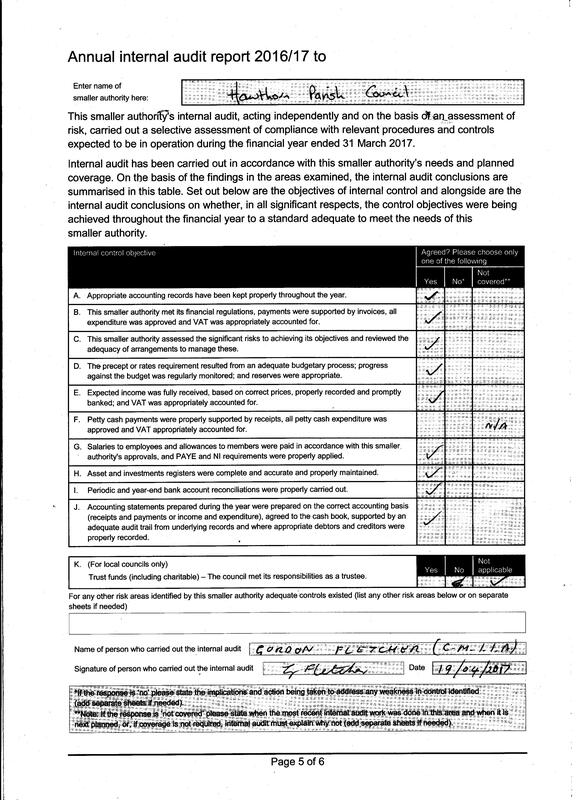 Internal Audit takes place in April each year. 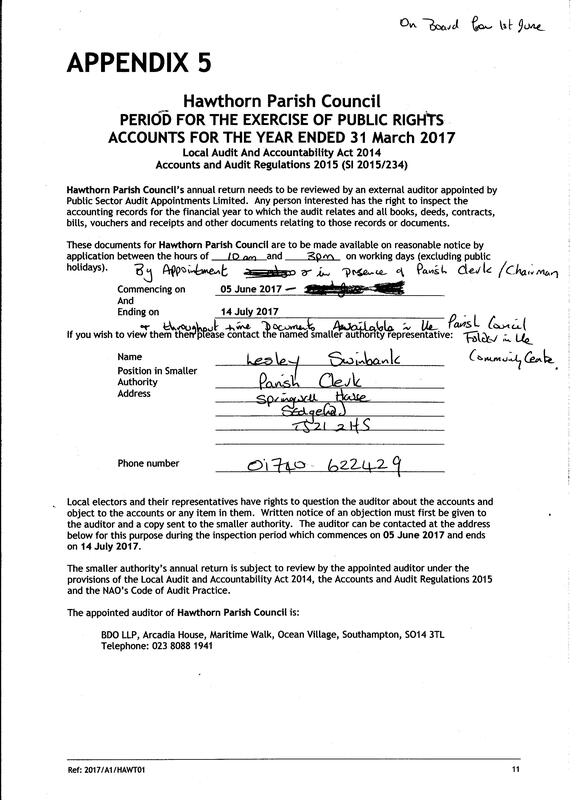 Everyone is able to view the accounts in June / July by appointment. Details are here. 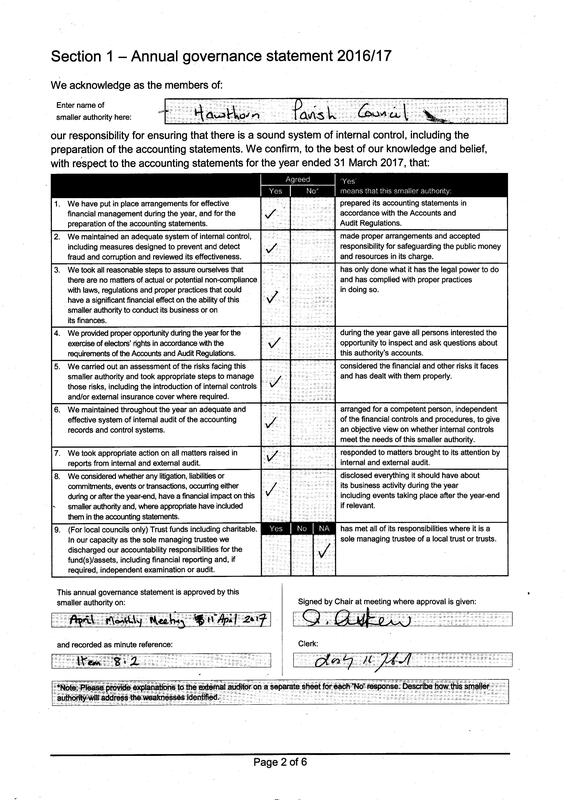 The accounts are then audited by external auditors BDO and their report will be added once received. 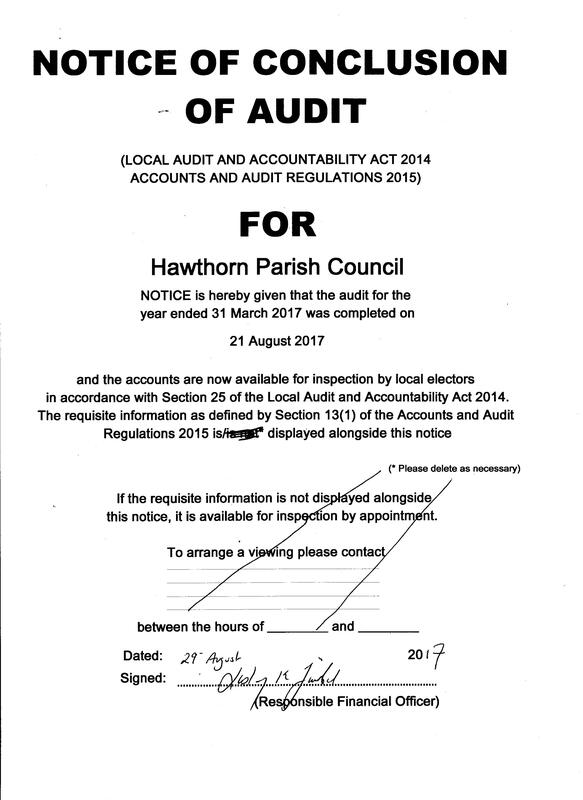 The Annual Return then becomes the official audited accounts.